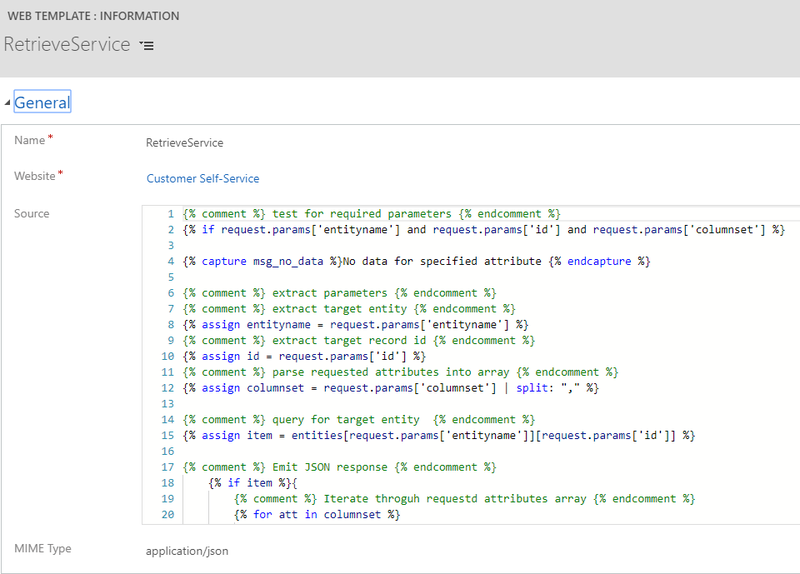 In part 1 of this post I demonstrated building and using a service which receives a FetchXML query and returns Dynamics 365 data to any Portal page in an asynchronous manner as a JSON object. This service is similar to the SDK’s RetrieveMultiple message. 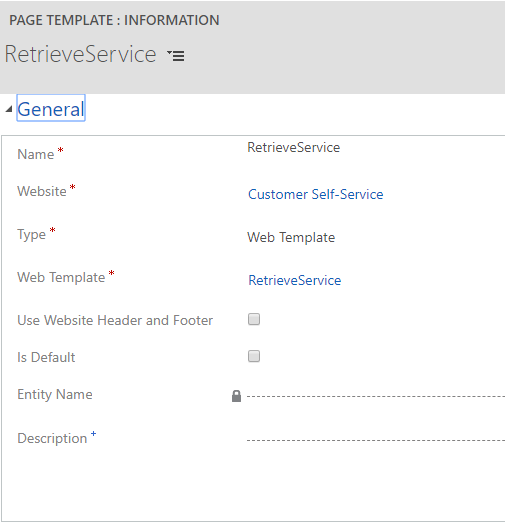 In this part 2, I’ll demonstrate a different service, which like the SDK Retrieve message, receives a record type, record id (GUID) and columns set to return the required data as a JSON object. This is useful when you already have a specific Dynamics 365 record id at hand and you want to retrieve additional data for this record. Set the Mime Type is to application/json. Paste the following code in to the web template source and save. 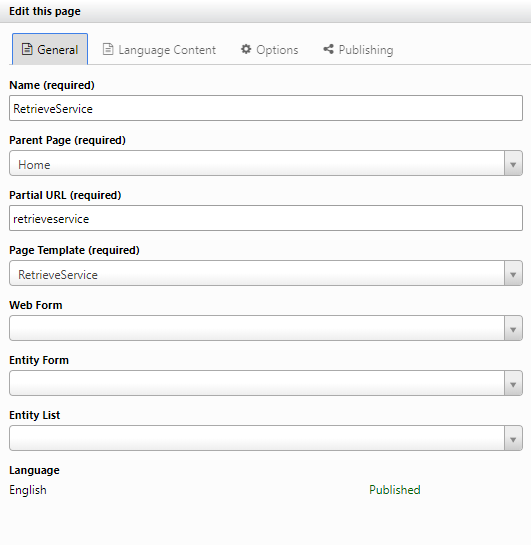 Replace the entityname, id and columnset parameters.